tin of Beard balm Using only the finest oils and butters that are used in all G.B.S. products. 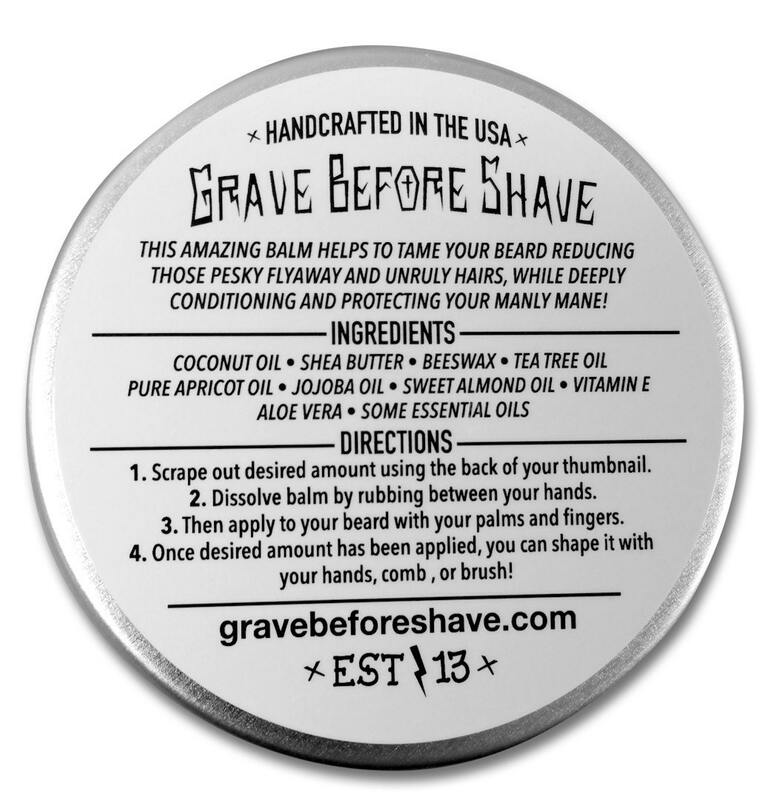 This amazing balm helps to tame your beard reducing those pesky flyaway and unruly hairs, while deeply conditioning and protecting your manly mane! G.B.S. 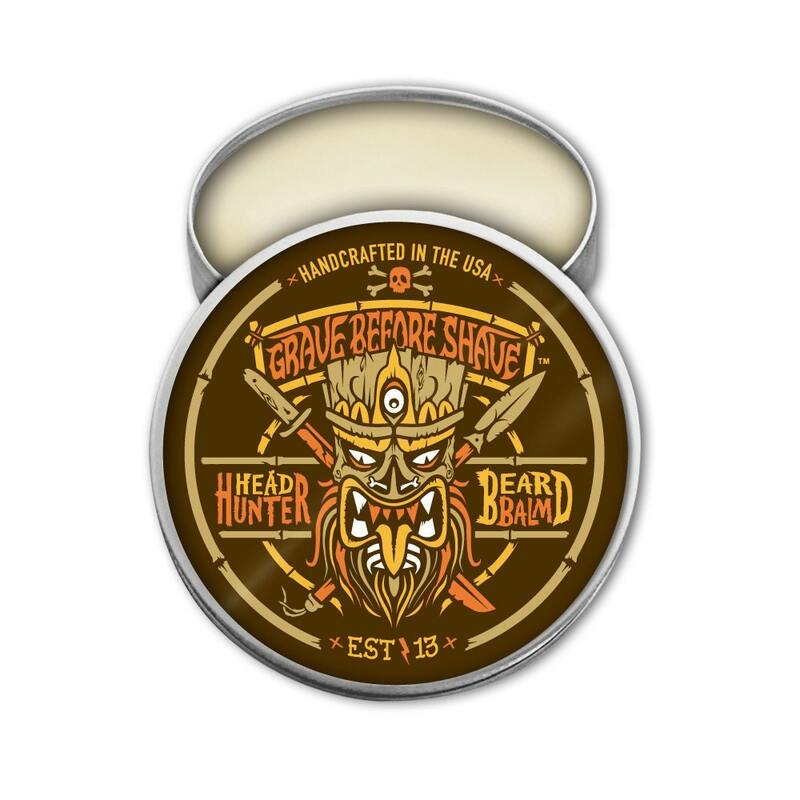 HEAD HUNTER Beard Balm has a Tropical summer aroma that takes you and your Beard on a Island Vacation... Just beware of the HEAD HUNTERS!! 1. Scrape out desired amount using the back of your thumbnail.